The twin channel LX35R packs a serious punch for a compact package and the rugged metal grille, metal corners and tattoo graphics give it the looks and strength to be taken to the extreme. 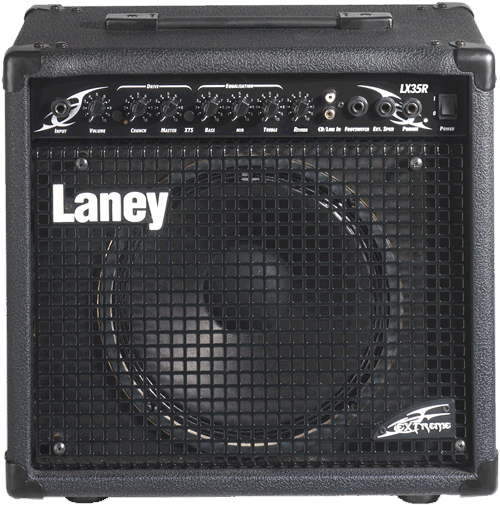 Features include spring reverb, global EQ, CD input, headphone socket and a 1x10" custom speaker external speaker socket to connect up a larger cabinet such as the LX412A to move from rehearsal to stage use. Also check out the LX35 and LX35D non-reverb and digital effects equipped versions.